Over the years the major concern that mothers have is the well – being of their children. It is very important for children to avoid junk and eat home – made food. The concept of tiffin has always been the best option for mothers. 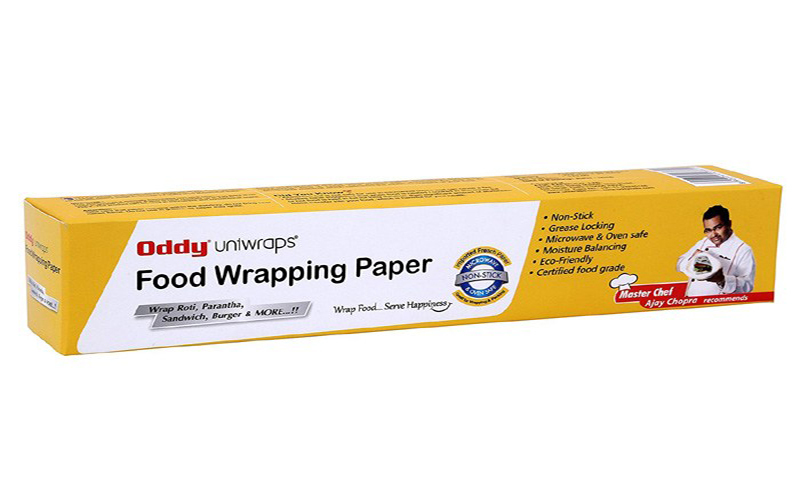 Wrapping food with Oddy Uniwraps keeps the food fresh by retaining the moisture in it. For example, Roti is a staple for most Indian households. By the time it is consumed, roti loses its moisture and starts to break if wrapped with aluminium foil. Oddy Uniwraps retains this moisture. The Roti remains fresh and intact. Also, Aluminium foil reacts with hot food. For instance if we wrap hot Roti with Aluminum foil, a chemical reaction is very likely to happen. Aluminum foil is used in oven based cooking for example, roasting and baking. Being a highly reactive metal, it is temperature sensitive. When the food is wrapped in the Aluminum foil, leaching occurs and gets absorbed in food. Aluminum is more likely to leach in these conditions: at high temp., in acidic and spicy foods, liquid food solution like lemon and tomato juice. According to a research by International journal of electro-chemical sciences, some aluminum leaches while cooking if initially wrapped with aluminum foil. Leaching increases with rise in temperature and increase in acidity levels. How can aluminum foil majorly effect human health? Human bodies can excrete small amount of Al easily. As per WHO (World Health Organization) daily intake of 40mg/kg of body weight per day is safe. Today people are exposed to and ingest far more than the suggested safe daily intake. Aluminum is present in corn, yellow cheese, salt, herbs, spices and tea. It’s present in pharmacological agents like antacids and antiperspirants. Aluminum intake is this form is digestible as it is a constituent of the food. When Aluminum enters into our body after reacting with food , our digestive system is not able to digest it and is starts accumulating inside our body particularly in liver, kidney, bones and brain tissues. If the extent of aluminum is increased to a significant level it can cause severe adverse effects to the body and the nervous system. Diseases caused due to Aluminum leaching are: Alzheimer’s disease, memory loss, anxiety, kidney failure, asthma, abdominal pain. According to a research, the amount of Aluminum migrated into the food during cooking of foods wrapped in Aluminum foil is above the permissible limits set by the WHO. Hence, Aluminum foils can be hazardous for human health. Centre For Disease Control By Toxic Substance And Disease Registry suggests that consuming higher levels of aluminium may damage nervous system.